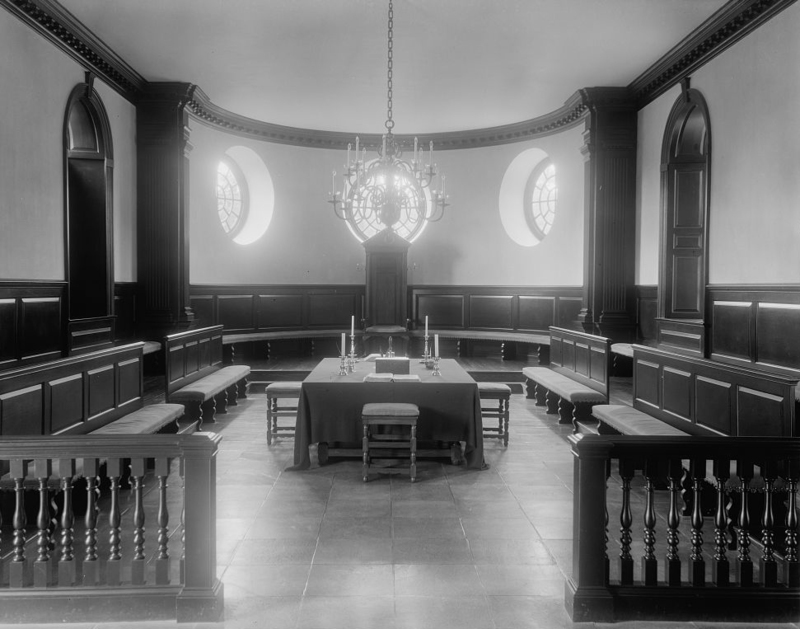 American colonial history belongs to what scholars call the early modern period. As such, it is part of a bridge between markedly different eras in the history of the western world. On its far side lies the long stretch we call the Middle Ages (or the "medieval period"), on its near one the rise of much we connect with modernity. It holds the root of modern science (epitomized by Sir Isaac Newton), of modern political thought (Thomas Hobbes, John Locke), of modern capitalism (the first large joint-stock corporations, including some which financed transatlantic "discovery"), of modern state formation ("nations," roughly as we understand the term today), of urbanization (most especially, London and Paris, but also colonial cities such as New York, Philadelphia, and Boston), and even of what scholars now refer to as "proto-industrialization" (the earliest factory-style modes of production). Yet for the great mass of European—and American—humanity, the flavor of life at ground level remained highly traditional, including an almost exclusive reliance on subsistence agriculture; immersion in small-scale, face-to-face patterns of social life; and a code of behavior shaped by age-old religious beliefs and folk nostrums. The colonization by Europeans of the two great American continents expressed both sides of the bridge. Its animating source was the clash and competition of European empires—a distinctly modern element. Yet the motivation for such endeavor also involved extending Christianity to "heathen lands," and locating rich sources of gold and other precious metals—twin ideas of ancient provenance. Portugal and Spain, having launched the so-called Age of Discovery at the end of the fifteenth century, laid claim to most of what is today Central and South America. The British, and others from northern Europe, were latecomers to the imperial contest. As a result, their entry, beginning around 1600, was channeled toward what was left—chiefly, the Caribbean islands and the cold, apparently hostile and frightening, coastline of North America. At first, their plans mirrored those of the Spanish and Portuguese. 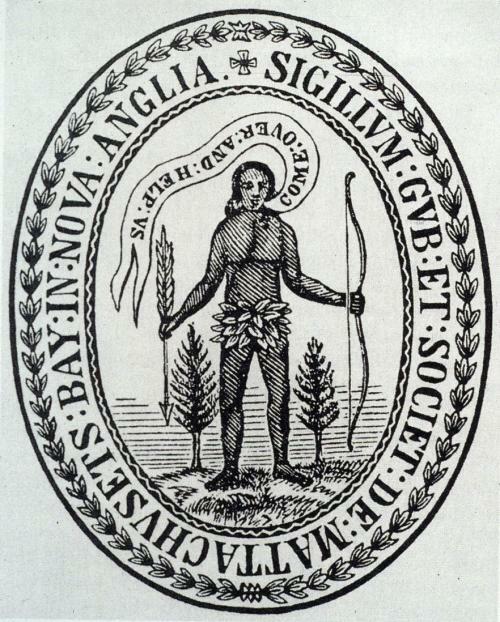 For example, the Puritan founders of Massachusetts were strongly bent on converting native "savages"—hence their adoption of an official seal with the image of an unclothed Indian saying, "Come Over and Help Us." Meanwhile, the first settlers of the region around Chesapeake Bay, starting with Jamestown, Virginia, and its environs, looked more toward material gain; when Captain John Smith arrived there, he found them frantically searching for "gold, gold, gold." These contrasting interests would shape the development of the two earliest British colonies for several successive generations. Massachusetts—begun at Boston in 1630, following a beachhead made a decade before by the "Pilgrims" at Plymouth—retained a deeply religious orientation through most of the colonial era. 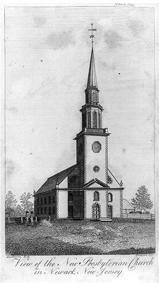 Its compact towns and villages were organized around largely autonomous "Congregational" churches; ministers played a key role in the local culture; and Protestant moral strictures framed many aspects of everyday life. Farming was the focus of productive effort, and most of what was raised went straight to household kitchens and dinner tables. 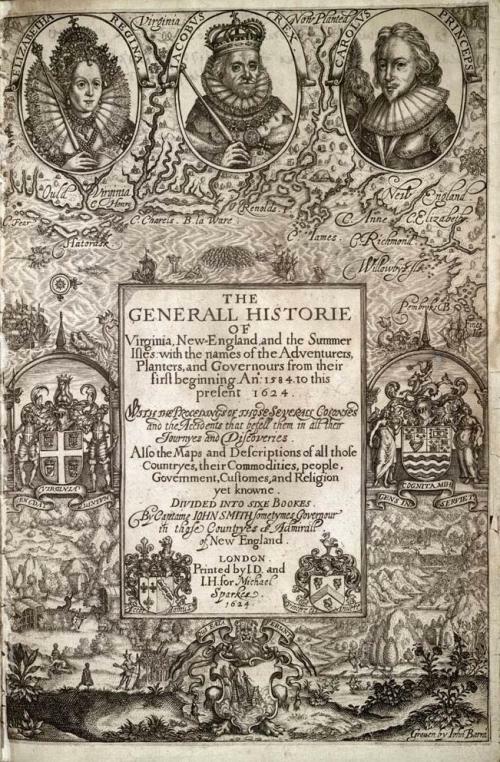 To be sure, after about 1660 a growing class of merchants would create new lines of private enterprise, some of them extremely far-flung, while attaining high levels of wealth and developing a genteel lifestyle to match. This trend, which would not reach its apex until well into the eighteenth century, is nicely encapsulated in the phrase "from Puritan to Yankee." Virginia, founded in 1607, was from the start a cog in the commercial system of empire. Having failed in their quest for gold, and also in their attempts to raise silk, citrus products, and other potentially lucrative cash crops, Virginians turned after 1620 to intensive tobacco-cultivation. The same was true of those who founded Maryland, around 1635, as a refuge for Catholics fleeing the rising pressure of Puritanism in old England. This focus lay behind the distinctive settlement pattern of the Chesapeake colonies—where numerous, more or less isolated, "plantations" lay stretched out along rivers and ridgelines, with little in the way of village-style contact among them. Tobacco exhausted soil fertility so rapidly that individual planters felt obliged to engross large quantities of land simply in order to maintain consistent levels of production; when, after a few years, one field would no longer bear a good crop, cultivation was moved to others. Moreover, the same planters needed ready access to the ships that would carry their harvest to market; hence a host of little wharves and docks sprouted at intervals along the shoreline. Both factors—crop and marketing requirements—worked to disperse settler populations across a broad expanse of coastal and interior land (the Tidewater and the Piedmont, in local parlance). In the meantime, other European groups were joining the settlement process: the French in what is now Canada, the Dutch in New Netherlands (founded in 1626 and Anglicized four decades later, with its name changed to New York), scattered bands of Finns and Swedes along the mid-Atlantic coast (in the 1630s and ’40s), the Spanish in Florida (as early as 1565) and also in the far southwest (today’s New Mexico; 1607). Eventually, all except the small Spanish outposts would be absorbed into a single, English-controlled sphere of colonization. There would be additional English settlements as well. 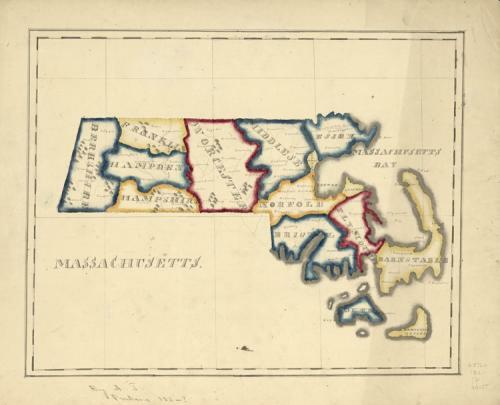 Thus several new settlements spun off from Massachusetts: Connecticut (1636); Rhode Island (1644); and New Hampshire (1679). Further down the coast came New Jersey (1670s); Pennsylvania, founded (1681) by English Quakers but thereafter populated largely by German immigrants (misnamed the "Pennsylvania Dutch"); Delaware (1704); Carolina (1663, later to be divided into two colonies, North and South); and Georgia (1732). Considered as a whole, English men and women constituted more than 90% of seventeenth-century colonists. But the following century would bring an extraordinary shift toward multiethnic, multicultural diversity, as Germans, Scots-Irish, and, most especially, Africans arrived in increasingly large numbers. By the time of the American Revolution, scarcely half the population could claim descent from "English stock." At the outset the settlers faced stark odds of survival. They arrived, in many cases, weakened by illness or sheer fatigue after their long sea journey. The supplies they brought were barely enough to last through their first months ashore. Their hopes for profitable trade would take years, if not decades, to realize. And their unfamiliarity with the New World environment placed them at an immediate, across-the-boards, disadvantage. Indeed, nearly everything they encountered seemed strange and puzzling. Most of them had no prior experience of a wooded landscape. The forests of their homeland had largely disappeared many years before—hence the American "wilderness" was bound to strike them as darkly menacing. Nor were they much familiar with human difference (people of different race, different culture, different language); in this regard, too, they would undergo a severe jolt upon encountering the native population. In short, they had to endure psychological stress as well as physical privation. Some gave up: retreated into private despair, failed to look after themselves, and died, as one report put it, "of melancholy." But most managed to cope, by adjusting their lives as best they could—and simply hanging on. Fortunately, the "starving times" they knew in the immediate aftermath of arrival did not, by and large, recur; within a few years, and given occasional (and invaluable) assistance by Indian neighbors, they were able to sustain themselves. Meanwhile, too, they sought to overcome the unnerving strangeness of the land by remaking it in the image of home; at every point they sought to replicate English ways. The very names they gave their surroundings expressed this impulse: Boston, Cambridge, Exeter, Portsmouth, Northumberland, Middlesex, and many others, all transferred from places they remembered and cherished in the mother country. (There were also some to which the modifier "new" would be directly attached: for example, New Bedford, New Hampshire, New Kent, New Brunswick, not to mention New England itself.) All this was part of convincing themselves that they had not lost their essential, long-treasured identity as English. It was, in effect, a strategy of denial; and, for the most part, it worked. At the core of colonization, throughout the seventeenth century and on into the eighteenth, lay a development problem—or, in their own words, the problem of transforming a "wild" countryside into a "pleasant garden." Land and other resources were present in great abundance (especially whenever and wherever Indians were not found standing in the way). The challenge was to convert these into suitably finished "goods," whether for immediate consumption or for sale in domestic and foreign markets. The sheer scale of it was enormous. Forests must be cleared, soil prepared for cultivation, housing constructed (along with barns and other outbuildings), roadways, fences and walls lined out, boats and wagons prepared for use in transport, tools and furnishings fashioned from whatever lay at hand. Who would do all this work? Under what conditions and with what inducements? In fact, the pool of readily available workers was dwarfed by the size of the task; the development problem was, first and foremost, a problem of labor scarcity. Notably, all these responses to labor scarcity, save the last one, involved some degree of unfreedom; and even New England’s family-based work-force was beholden to aging patriarchs who controlled inheritance. Take bound labor out of the picture, and colonial development would have proceeded very differently—more slowly, less profitably for those in charge, and with much less strain and suffering for the laborers themselves. In this regard the colonies stood in marked contrast to Europe, especially England, where a free-labor market was rapidly maturing. Even at its best, the colonial labor system fell short. Simply put, there frequently weren’t enough workers to do the job right; thus, at an everyday level, productive arrangements showed a certain sloppiness. Chesapeake planters, for instance, were notoriously careless with their lands and livestock; English visitors deplored their neglect of draining and manuring their fields, and their willingness to let cattle run free in the woods. New England, despite its culture of personal discipline and "steady habits," did little better; outsiders often commented on the scruffy, untidy look of the countryside. Local records from the region (and elsewhere, too) are full of notations about fences that fell down leaving pigs to roam free in nearby vegetable plots, sheep that were lost because of negligent herding, animal hides that were tossed out to fester by the wayside instead of being sent to a tannery for processing into leather, bridges that collapsed because of inadequate maintenance, houses that caught fire from poorly built chimneys—the complaints went on and on. There were, moreover, other difficulties that worked to cramp productive effort. Capital seemed always to be scarce; what there was of it came largely from—and then quickly returned to—the mother country. Cash, in particular, was hard to come by. Thus, at the local level, most exchange of goods and services involved barter or personal credit; household account books from the period contain page after page of debts owed between neighbors. The ships that carried colonial products to market overseas were almost entirely English-made and English-owned. Insurance and other financial services were in the hands of English merchants. Hard goods, like firearms, stoves, and iron cookware, were also obtained from England. Even clothing and other textiles might well be imports. All these factors, taken together, imposed a heavy charge on colonial producers. As a result the colonial American economy remained deeply in the thrall of the mother country; in present-day terms, it was a sphere of underdevelopment. A different but related set of problems involved social and political organization. At first, the very idea of creating new human communities in far-off lands seemed strange and perplexing. What defined a colony? What shape should it have, and what relation to the metropole? Who would be its on-site personnel? How should it be governed? These were, at the beginning of the seventeenth century, all open questions, for which the promoters and founders had somehow to find answers. The English monarchy left them largely to their own devices, offering high-sounding charters but little in the way of direct support and guidance. Some colonies were designed and funded by joint-stock operations, others by wealthy proprietors (either singly or in small groups). All were expected to be revenue-producing. And all would supposedly be ruled, in top-down fashion, by boards of officials in the mother country. But expectations were one thing, outcomes another. Distance and the unforeseen difficulties of life on the colonial ground threw most of these founding plans off-track. Within a generation or two, effective governance had migrated, along with the settlers themselves, to scattered venues across the "new" continent. In Massachusetts, in Virginia, and later in New York and Pennsylvania, home-grown legislative bodies sprang into being and assumed an increasing measure of control. Indeed, the same decentralizing process developed even at the local level, as individual counties and towns took charge of their own affairs. This process, like the heavy reliance on unfree labor, seemed to reverse prevailing trend-lines in England—where, especially after 1660, the governing center (the monarchy) was gathering more and more power to itself. Decentralization and local autonomy did not, however, mean democracy in any modern sense. Virtually everywhere the reins of power were held by elites. This was most obviously true in the southern colonies, where a small pool of "gentlemen" dominated the membership of county courts, and thus controlled a wide range of both administrative and judicial affairs. Typically, these courts would handle taxes, land titles, estate probates, poor relief, militia training, and many other matters of everyday concern. New England’s system of town-meeting government offered wider scope for popular participation; leaders were chosen annually by vote, and policy was decided the same way. Still, voting itself was limited to a certain portion of townspeople—in the earliest years, church members only (in short, a religious test); later on, those who exceeded a specified level on the tax-list (a property test). Either way a majority might well be excluded. And since these possibilities concerned men only—nowhere in colonial America could women vote—the limiting process was effectively doubled. Still other constraints were culturally determined. The aim of voting, where and when it might occur, was to reach a unanimous outcome (a consensus); conversely, majoritarian rule—deciding policy by head-count, for and against—was disapproved. Seventeenth-century colonists had no concept of a loyal opposition; to the contrary, political opposition meant disloyalty, possibly treason. (To be sure, this attitude began to weaken in the eighteenth century, as the actual workings of colonial politics became increasingly fragmented and factionalized.) Last but hardly least, deference was a core principle of political, no less than social, life. Communities were thought to consist of "superiors" and "inferiors," of the "gentle" and the "common," or the "high-born" and the "low." Ordinary people were closely attuned to cues emanating from their "betters," whose opinions should always carry decisive weight. The weakest point in this system was the position of the elites themselves—not in their authority over ordinary folk, but rather in their relation to each other. The process of settlement and community-building had created a certain openness at the topmost level. Social credentials, like family pedigree, counted for less on this side of the ocean than on the other. And sudden opportunity—a bonanza tobacco crop, a market success in a rapidly expanding town or county—might push a few men far up the local wealth scale, and embolden them to claim a commensurate political role. In short, leadership might become contested to a degree rarely seen in the more firmly established communities of the Old World. Conflict among rival elites peaked in a sequence of violent events during the last quarter of the seventeenth century. Bacon’s Rebellion in Virginia (1675–1676) was a case in point. Though partly an "Indian war"—Virginian frontiersmen versus the native Susquehannocks—this was also a power struggle between two of the colony’s "great men." William Berkeley, the governor, faced a direct challenge from Nathaniel Bacon, a "high-born" planter and self-styled champion of the rebels. 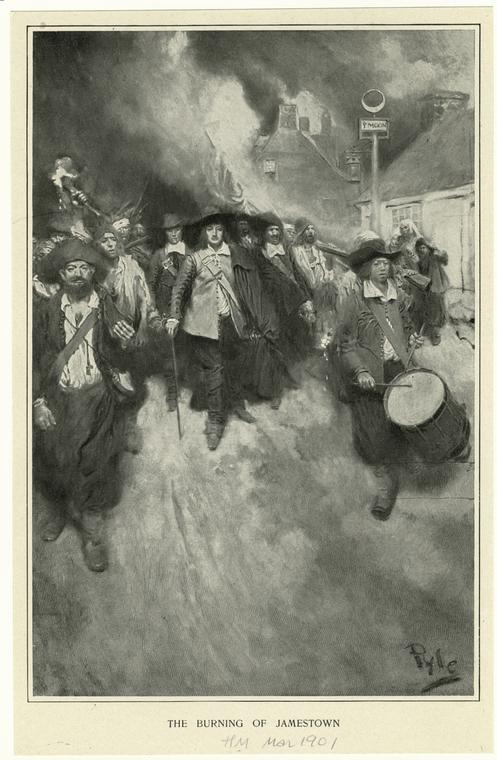 A dozen years later a similar dynamic helped energize an uprising in New York, generally known as Leisler’s Rebellion. As with the Virginia case, this event took the name of its leader, Jacob Leisler, a wealthy merchant and militia officer who chafed at his exclusion from the highest levels of the colony’s government. Both rebellions came near to success, but ultimately failed. There were similar, though smaller, disturbances in Maryland and Carolina at around the same time. And in Massachusetts, the existing government was overturned in response to the so-called Glorious Revolution in England (the ousting in 1688 of the Stuart line of monarchs, and its replacement by King William and Queen Mary). Taken as a whole, this cluster of conflicts showed deep fault lines in the domain of leadership. But it was a passing phase. As one century yielded to the next, colonial society attained a more solid and settled shape. The position of the leaders seemed increasingly secure, within and without their own ranks. For "common" people, too (excluding those on the frontier, and Indians and blacks) life had become less precarious and more predictable, if still quite modest in its rewards. A rapidly growing, African-born (or derived) population of close to half a million, almost all of them slaves, and heavily concentrated in the Chesapeake and Carolina. And if the bird’s eye were able to peek as well into their thoughts and feelings, what else might have been discovered? What were their chief goals, their most cherished values, their abiding concerns? How did they think about the meaning of their lives? The Indians and Africans are unknowable at that level, but about the colonists somewhat more can be said. Most of them gained a measure of fulfillment in two ways. First, by achieving what they called a "competence"—a sufficiently good result from farming, or craft production, or, in a few cases, professional activity (ministers, doctors, midwives) to support themselves and their families as fully independent citizens. Dependence on others was anathema to them—what they wished, most of all, to avoid. And, second, by attaining "godliness"—if not as a clear inner reality, then at least as a matter of reputation. Good reputation was always, for these folk, a pre-eminent aim. Their cosmology, their way of being in the world, was still deeply tradition-bound and, in the literal sense, conservative. They expected always to conserve what the past had bequeathed them—not to innovate, not to experiment, not to improve on the accumulated wisdom of the ages. Experience came to them in circular form, indeed as an endless round of cycles: the diurnal cycle, day followed by night; the lunar cycle, the waxing and waning of the moon; the annual cycle, spring, summer, autumn, winter; and—this most important of all—the life cycle, birth, childhood, youth, full manhood or womanhood, old age, death. Everything would return eventually to the point from which it had started out: in the Biblical phrasing, "ashes to ashes, and dust to dust." In this way of thinking—and of living—continuity was preferred and novelty viewed as dangerous. Yet they, the colonial Americans, had not entirely come round to the same starting-point as countless generations of their forebears. And some parts of their lives were novel indeed. Without explicitly acknowledging it, they (or their parents or grandparents) had left the familiar track in order to chart a new course. No matter how often—no matter how fervently—they declared themselves to be forever "English," they could not quite avoid seeing the arc of their difference. There was much they still shared with their cultural kin across the ocean, yet their experience no longer fit the same pattern. They were reminded of this every time they met an Indian, walked in the "wilderness," ate cornmeal for supper, or heard the howl of a wolf at night. They were changed, inwardly as well as outwardly, and at some level they knew it. The question then became: Why? Was it all for good? or for ill? None could say with certainty—but this much was clear: America was different from other lands; and the lives they lived within it were exceptional, were "remarkable" (a word they often used) by the standard of their time. Perhaps, therefore, they had been marked—singled out—chosen—to fulfill some special destiny. This understanding, though still quite inchoate as a new era dawned, would be passed on to their descendants, would be sharpened and owned and cherished, and would inform the American story for generations yet unborn. John Demos is the Samuel Knight Professor of History Emeritus at Yale University. Among his publications are The Unredeemed Captive: A Family Story from Early America (1994), which received the Francis Parkman and Ray Allen Billington prizes in American history and was a finalist for the National Book Award in general nonfiction, and Entertaining Satan: Witchcraft and the Culture of Early New England (1982), for which he received the Bancroft Prize in American History.